Although sustainable development and climate change are governed through separate international processes, they converge on two key assumptions. First, governments fall far short of the goals they set. Second, wide gaps between political commitments and governmental action can be narrowed through efforts by non-state actors, such as businesses, investors, civil society organizations, cities and regions. Encouraged by prominent leaders such as US President Barack Obama and former Executive Secretary of the United Nations Framework Convention on Climate Change (UNFCCC) Christiana Figueres, international organizations and governments are leading large-scale efforts to promote and mobilize non-state actions. These efforts are based on recurring optimistic arguments, such as: the more action, the better; everybody wins from non-state action; every actor can do its part in implementation; and, action by one will inspire others to take action. Optimistic arguments about non-state engagement, however, may not be matched in practice due to governance risks. The current emphasis focus on quantifiable impacts may lead to the under-appreciation of social, economic, and environmental impacts that are less easy to measure. Claims that everybody stands to benefit may easily be contradicted by outcomes that are not in line with priorities and needs of developing countries. Despite the broad acceptance of the role of non-state actors in implementation, their actions may still lead to controversial outcomes. Finally, non-state climate action may not be self-reinforcing, but heavily depend on policies by international organizations and governments. Governments and international organizations should consider governance risk-reduction strategies to maximize the potential contributions of non-state actors in sustainable and climate-resilient development. First, they should create enabling environment that provide incentives to engage, for instance through improving access to knowledge, high-level recognition, material and immaterial support, and by conveying that climate and sustainability action is possible and doable. Second, non-state action needs to be grounded in national and regional contexts; particular attention should be given to strengthening capabilities of, and fostering participation by, developing country-based actors. Third, far-reaching transformations cannot be achieved without critical masses of engagement, therefore the challenge is to stimulate action beyond ‘champions’ and frontrunners. Especially governments need to bring to focus the ramifications of the sustainable and climate-resilient futures they have committed to and give non-state actors a fair chance to adapt. How the relation between non-state action and more traditional governance will evolve remains to be seen. This relation may develop differently across sustainable development and climate governance. However, maximizing non-state potential will take supportive environments which reduce risks and bolster momentum for transformative actions. In 2019 doe ik mee aan de Europese Verkiezingen. Een duurzame toekomst is per definitie kleurrijk en inclusief. Eerlijke & groene handelsverdragen zijn een kwestie van solidariteit Krachtige klimaatmaatregelen nu! Non-state and subnational climate actors have become central to global climate change governance. Quantitatively assessing climate mitigation undertaken by these entities is critical to understand the credibility of this trend. In this Perspective, we make recommendations regarding five main areas of research and methodological development related to evaluating non-state and subnational climate actions: defining clear boundaries and terminology; use of common methodologies to aggregate and assess non-state and subnational contributions; systematically dealing with issues of overlap; estimating the likelihood of implementation; and addressing data gaps. Researcher (m/f) in our research programme on “environmental governance and transformation to sustainability”. The researcher will carry out research and policy advice in the interdisciplinary “Klimalog: Research and dialogue for a climate-smart and and just transformation” with a particular focus on adaptation governance and climate resilience. For more informations click here. The German Development Institute / Deutsches Institut für Entwicklungspolitik (DIE) is one of the leading research institutes on development policy. Through excellent research, policy advice and training, the Institute contributes to finding solutions to global challenges. The position should be filled as soon as possible and is currently limited until 30 June 2018. Subject to final approval of funds, an extension until 28 February 2019 is possible. The person selected will be expected to conduct research on European policies for global development at the interface of development policy and other relevant EU pol-icies (preferably migration or peace and security) within the framework of the 2030 Agenda for Sustainable Development. He / she will be a member of the research team in the project “Europe’s role in the World: From aid to global development”. The project analyses policy responses and implementation gaps of EU development policy towards low and middle income countries and also investigates how the coordination and coherence between development policy and other fields of external relations can be improved. Willingness and aptness to travel abroad, including countries with a tropical cli-mate („Tropentauglichkeit“). The German Development Institute / Deutsches Institut für Entwicklungspolitik (DIE) offers an inspiring, family-friendly working environment at the interface of research and policy advice, with ample opportunities to engage in international discussions, political processes and scientific debates. As the DIE is committed to increasing the share of female research staff members, women are particularly encouraged to apply. In the case of equal qualification, phys-ically challenged persons will be given preference. For further questions, please contact Dr. Stephan Klingebiel or Dr. Christine Hackenesch. How radical is the Green Economy? In 2012 the UN Conference on Sustainable Development presented the Green Economy is a strategic development concept and vehicle for realizing sustainability and for eradicating poverty. The UN Environmental Programme (UNEP) defines the green economy as an economy that results in ‘improved human well-being and social equity, while significantly reducing environmental risks and ecological scarcities’ (UNEP 2011, p. 2) . For scholars the Green Economy concept poses multiple challenges. With researchers from different backgrounds taking part in the discussion, interdisciplinary communication and collaboration, for instance between social and natural scientists, becomes key. Morover, the Green Economy poses a trans-disiciplinary challenge for science policy-interactions as it needs to be operationalized bot in academia and in society. In our latest publication in Environmental Values, we engaged young researchers with different disciplinary backgrounds in a deliberative space to better understand the predominant framings and interpretations of the Green Economy among young scholars. The research question is: How do young scholars percieved the Green Economy, the need for societal change, the potential for the Green Economy to realize such change, and the role of research in promoting this change. Using a qualitative and participatory research approach, We identified a bottom line of crucial values that are generally shared by the respondents, including a common recognition of the need to address interlinked ecological and social problems, and the need for research to be independent, provide options, guidance and solutions to policy-making. We observed disparate and divergent opinions concerning the Green Economy and its potential to genuinely further sustainable development. We also identified a broad spectrum of opinions regarding the degree and nature of needed societal change and the role of research in the field of Green Economy. We captured these dimensions in a four-quadrant model that includes four different ideological positions of researchers: Radical evolutionist, Pragmatic evolutionist, Radical revolutionary and Pragmatic revolutionary. The Green Economy is not perceived as a particularly revolutionary concept, rather it is understood to incrementally improve the current economic and institutional system. Most of the participants, however, were positioned in the pragmatic revolutionist quadrant; they aspire to a more fundamental systemic change through adopting pragmatic approaches. The recorded exercise in this study can prove useful in visualising the theoretical landscape across which researchers in the field of the Green Economy move. This article is meant as a moment of self-reflection on the meaning of research itself, and its role in contributing to deliver visions, strategies and instruments towards a more environmentally-committed, just and equitable society – for which the Green Economy appears to be only a partial solution. For a full .pdf of our latest publication, please do not hesitate to contact me. On Tuesday 28 March, President Trump unravelled his predecessor’s climate policy by signing an executive order that, amongst other things, undoes restrictions on emissions by coal-fired power plants. Obama’s climate measures would have resulted in an estimated 26-28 percent reduction of US emissions by 2025. Many now ask about the global consequences of US withdrawal from climate protection; will this be the end of the world’s quest for a low-carbon and climate resilient future. After more than 20 years of often fruitless negotiations, governments finally agreed to a new international climate agreement in Paris in December 2015. In the run-up to this new agreement, thousands of companies and investors committed to taking climate actions, and to investing billions into a cleaner economy. In addition, hundreds of thousands of people took to the streets around the world demanding a climate-safe future. While the 45th President undeniably spells bad news for the US and for our Planet, we see important silver linings. First, climate Action is happening largely independently of national politics. Second, the multilateral climate process around the United Nations Framework Convention on Climate Change is not the only place to reaffirm low-carbon development. The G20 as a forum beyond the multilateral climate process may be well placed to encourage climate action, and reassure businesses and investors that the world remains determined to realize a low-carbon economy. As the world finally seemed to break its addiction to fossil fuels, the oil and coal industry gained unprecedented power over the world’s largest economy. Trump appointed former Exxon executive Rex Tillerson as State Secretary, and climate deniers, former Texas Governor Rick Perry, and former Oklahoma Attorney General Scott Pruitt, respectively as Energy Secretary, and head of the Environmental Protection Agency. Observing this cabinet of climate horrors, nobody should be surprised at Trump’s executive order. With the stroke of a pen, Trump seeks to take down the centre piece of the Obama’s climate policy; the Clean Power Plan. Moreover, the order promises to open federal lands and waters for onshore and offshore leasing, allowing drilling and fracking in vulnerable ecosystems, and it releases government agencies from considering the social costs of carbon. In contrast to what some have expected, the US is not (yet) withdrawing itself from the Paris Climate Agreement or the UNFCCC altogether. One could argue that a complete withdrawal would be better; now the rest of the world finds an unwilling and even obstructive US at the negotiation table. Moreover, as the US cuts its contributions to international climate finance and the UN, the international effects of Trump’s climate policy will extend far beyond negotiations. For instance, developing countries that are especially suffering from the impacts of already occurring climate change can no longer expect assistance and support from the US. While international climate change cooperation undoubtedly suffers a heavy blow under Trump, some of important drivers of climate action remain. Renewable technologies have become strong competitors to older fossil fuel based technologies. The green economy is posting greater job growth than the fossil fuel based economy. A rapidly growing number of businesses, investors, cities and regions are stepping up efforts to reduce greenhouse gasses and to adapt to climate change. This surge in climate investments happens largely independently of politics. The private sector and local governments act less out of charitable intentions, or under popular or political pressure; rather, they realize that low-carbon and climate resilient solutions make business sense. Even the head of the largest private US coal company, Robert Murray, admitted that Trump cannot bring back lost jobs. The coal industry is declining, not because of regulations imposed, but because renewable energy and gas have become cheaper and more efficient. An executive order is not likely to withstand these new market forces. Outside the direct control of Washington, more and more companies, investors, and cities are investing in the reduction of greenhouse gasses and adapting to climate change. The case for smart climate adaptation measures is particularly strong for cities. The city of Miami, for example, has invested more than one hundred million dollars in storm-water drainage. Measures to mitigate and to adapt to climate change are taking place all over the US, independently of federal policies, and not out of charitable intentions either. It is difficult to remain optimistic amid the gloom. However, the US has previously shown considerable resilience against environmentally hostile administrations. For instance, robust participatory environmental arrangements in the 1980s mitigated some of the anti-environmental policies under President Reagan. More importantly, as a reaction to the Reagan administration, the environmental movement bloomed and consolidated into a force to reckon with. Ironically, Trump’s proneness to stoke civil and economic unrest may help the world to move away from the incrementalism that has thus far insufficiently triggered the more radical transitions needed to secure a climate safe future. Trump may have unwittingly released the forces that will bring about a more radical transformation towards a low-carbon economy, and a more sustainable future. The international community will also need to find new strategies to accelerate climate actions. Multilateral institutions such as the UNFCCC strictly act on consensus, and are particularly vulnerable to non-action or disruption by even one country, let alone the US. However, forums beyond the UNFCCC, with more open ended processes, do not need to reach consensus beyond political declarations. The G20, in particular, as the most important ‘minilateral’ forum, could stimulate joint-up thinking on climate change and economic development at the highest level; and, as a country led process, it could encourage individual countries. In particular, presiding G20 presidents – currently Germany, Argentina in 2018, and India in 2019, could demonstrate individual leadership by reaffirming their commitment to the Paris Climate Agreement, and by putting low-carbon development at the top of the agenda. Even if this leads to a showdown between the US and the other 19 governments on climate change; the world would still witness a more distributed leadership on climate change, giving a strong political signal to businesses and investors that the world is still heading to a low-carbon economic future. Trump, Climate Action is Unstoppable! On 10 November – the day after Donald Trump’s election – American and non-American delegates at the annual UN Climate Conference in Marrakech (Morocco) stood stunned and confused. Had the great achievements in the recent past, the Paris Climate Agreement, the Kigali Amendment to reduce CHF gasses, the commitments by almost all governments and thousands of businesses, investors and social groups to act on climate change become undone? Had the ‘inevitable’ transition to a low-carbon economy been stalled? 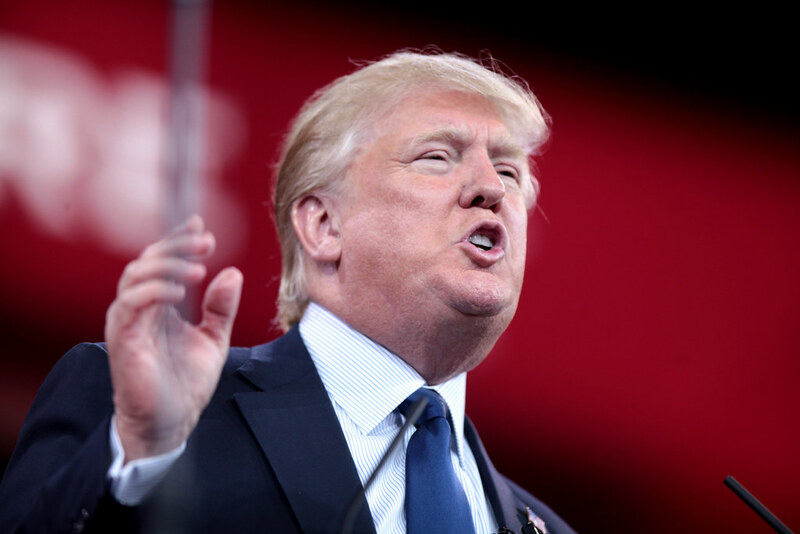 On the eve of Trump’s inauguration, there is little doubt that his climate scepticism is more than rhetoric; Trump is bad news for the US and for our planet. Nonetheless, we may see some silver linings, as action on climate change is unstoppable. At COP21 in Paris, governments reiterated the importance of ‘non-Party’ contributions, placing big bets that the efforts of cities, regions, investors, companies, and other social groups will help keep average global warming limited to well under 2°C. However, there is little systematic knowledge concerning the performance of non-state and subnational efforts. We established a database of 52 climate actions launched at the 2014 UN Climate Summit in New York to assess output performance – that is, the production of relevant outputs – to understand whether they are likely to deliver social and environmental impacts. Moreover, we assess to which extent climate actions are implemented across developed and developing countries. We find that climate actions are starting to deliver, and output performance after one year is higher than one might expect from previous experiences with similar actions. However, differences exist between action areas: resilience actions have yet to produce specific outputs, whereas energy and industry actions perform above average. Furthermore, imbalances between developing and developed countries persist. While many actions target low-income and lower-middle-income economies, the implementation gap in these countries remains greater. More efforts are necessary to mobilize and implement actions that benefit the world’s most vulnerable people.